Reporting plays a very important part of test automation and ReportNG is a very helpful TestNG plugin which is powerful and easily customizable. Actually, the extent of customization is huge. This is going to be a quick intro tutorial to ReportNG, my goal is to quickly show how to set it up and add basic functionality. Now you’ll see the generated XML windows, you’ll have to add these four listeners to the XML file. Here you’ll find index.html which will have the basic reportNG template. You can add screenshot and text to the file by using Reporter.log(“””) this is TestNG specific function which adds a line to the report file. 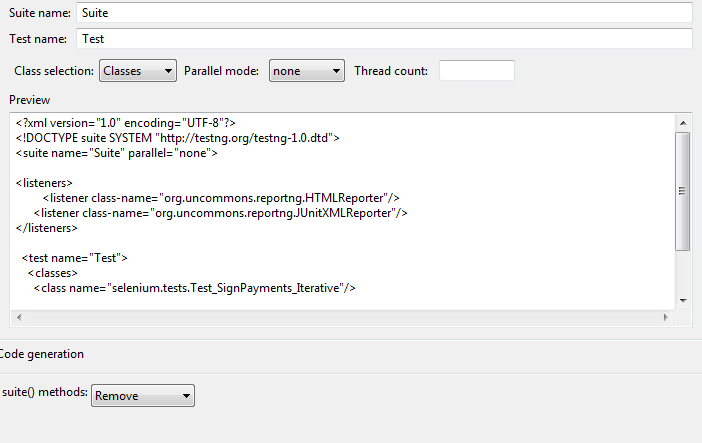 Since we are using ReportNG which is HTML5 compatible, we can easily add short HTML “scripts” and it will execute. Just change pathToScreenshot to your full path which includes the file name. the expand collapse will mainly work only on chrome. Most of the stuff is located in ReportNG-base.java, however, you can find useful stuff through all of the projects. You can inject jQuery library and use it to add the script to the template so it’s possible to make these expand/collapse images for all of the browsers, also you can edit almost everything there, adding your logo, descriptions, CSS improvements and jQuerry components.